Final exams are never really final until they’re your final final exams. Until then, there’s nothing final about final exams. 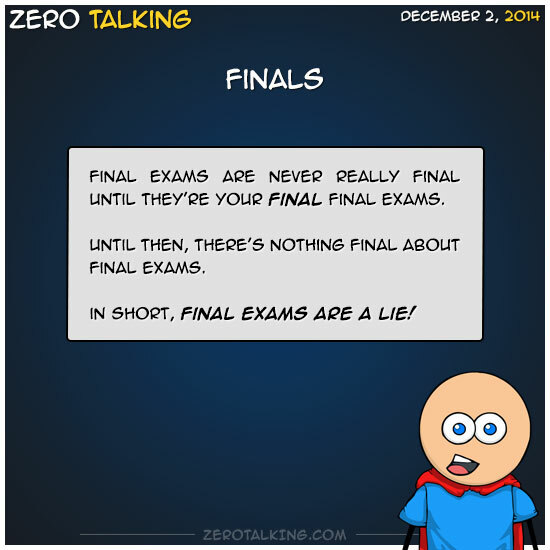 In short, final exams are a lie!